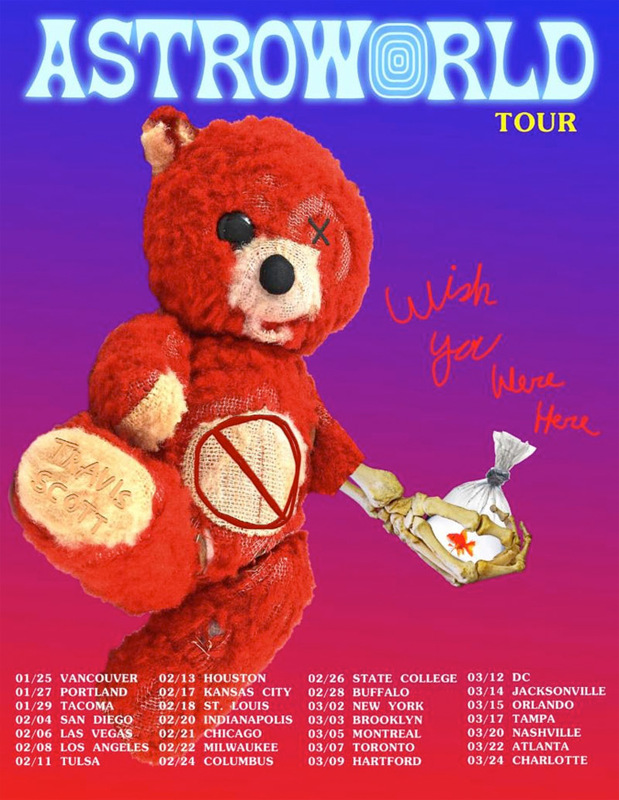 Travis Scott has announced he's extending his "Astroworld: Wish You Were Here" tour, adding a huge string of dates. And yes, that includes several new dates here in Canada. Following the initial leg, the second part of the tour will kick off in Vancouver on January 25. In addition to playing a pile of more shows in the U.S., the rapper will make more Canadian stops in Montreal on March 5 and Toronto on March 7. You can see the newly expanded tour schedule down below. The trek comes in support of Scott's 2018 album Astroworld.